OEM manufacturing companies demand the highest standards. At All-Type Welding and Fabrication, we’re able to meet and exceed them using the latest equipment. Since 1987, our team has been a knowledgeable and trusted partner for OEM businesses, assisting with stainless steel and non-ferrous product development needs and value engineering services. Our mission-critical components make us your source for high-quality welding and fabrication. We specialize in precision metal fabrication where tolerances are tight, high quality is a must and aesthetics are important. OEMs trust in our ability to meet the most demanding timelines without compromising quality. 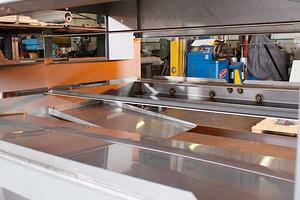 Contact us to learn more about precision metal fabrication and welding services for the OEM manufacturing industry. ATWF is committed to your long-term success. Our ability to successfully weld and fabricate demanding, unforgiving materials of varying thickness is what sets us apart and is crucial to the growth and success of your OEM business. Our upfront knowledge of welding stainless steel, aluminum and steel fabrication projects helps you save time, money and hassle. Additionally, we’re quick to adjust and get work completed in an efficient time frame. Put your trust in the experienced team at ATWF by contacting us today. Working on a Design, Metal Fabrication or Welding Project for the OEM Industry?